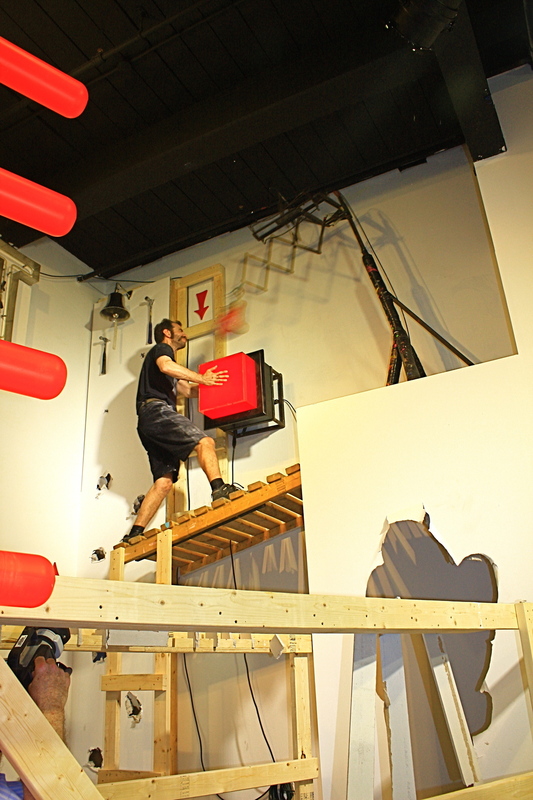 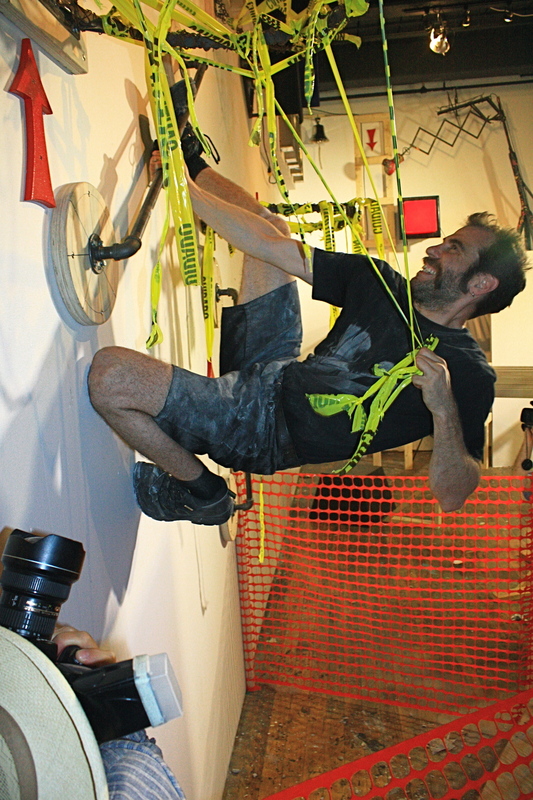 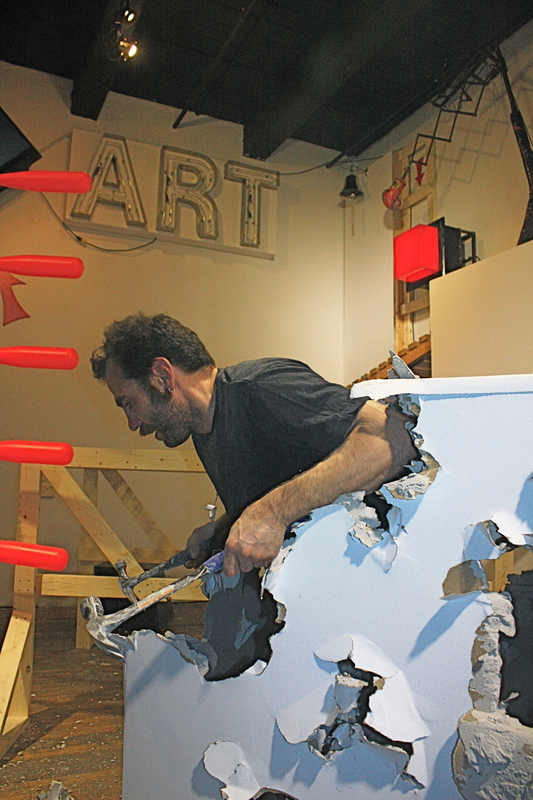 The Art Course is part obstacle course, part performance Art, and part adrenaline induced smashing! 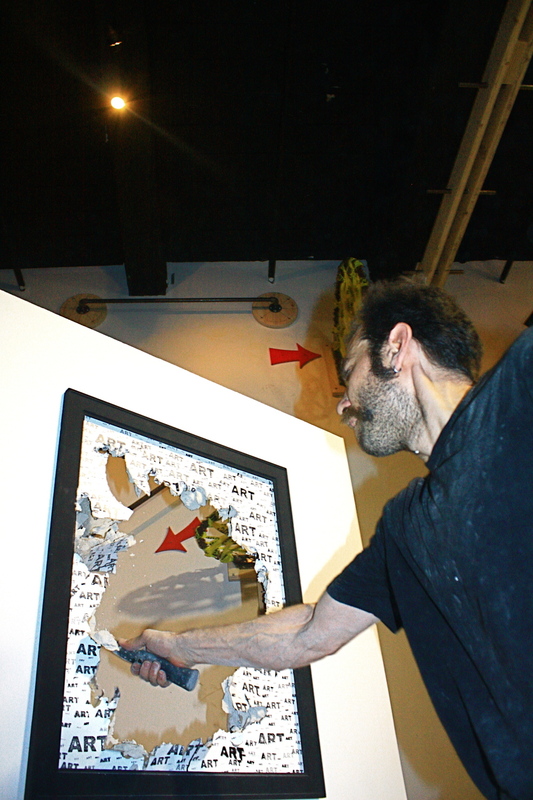 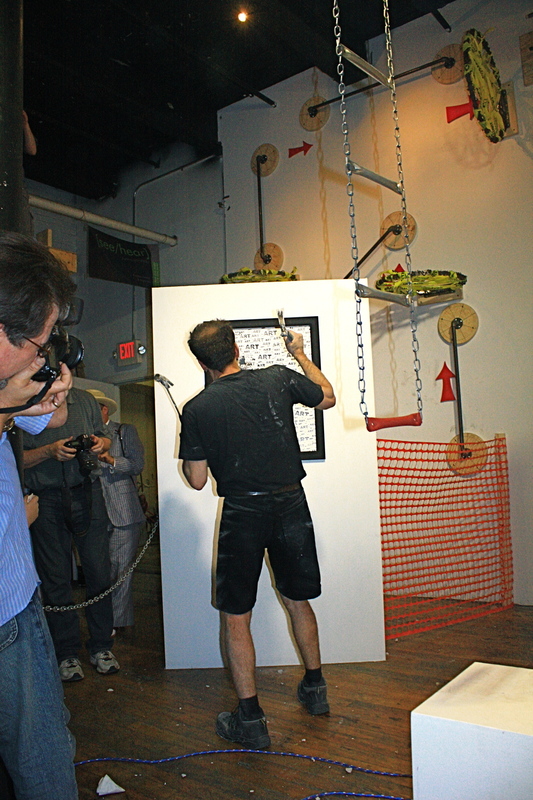 The piece is based on my Artistic development over the years and incorporates elements from my other performance pieces. 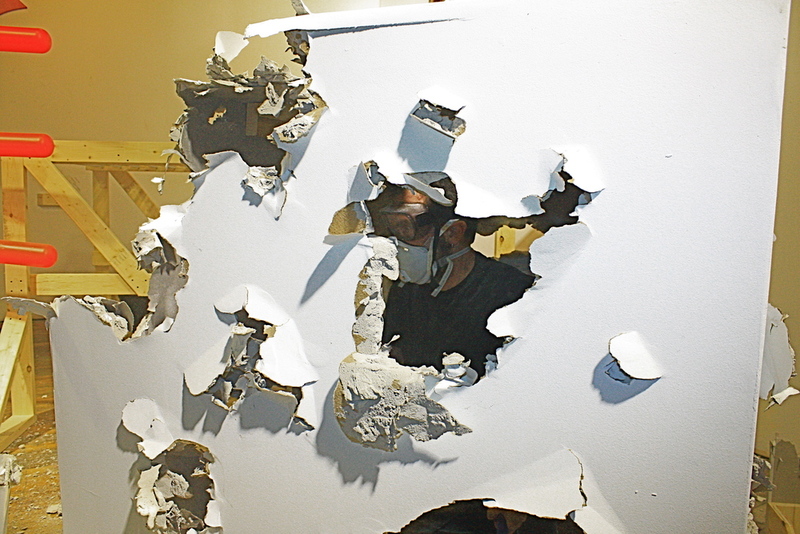 The 1st obstacle in the Art Course starts with me smashing out of a 4’ cube, which in the ends resembles sculptures from early in my career. 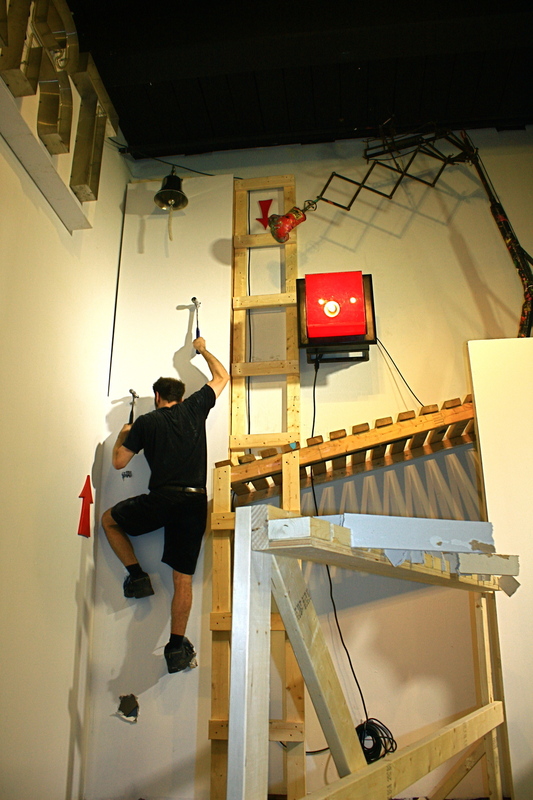 To complete the course a series of walls must be broken through, gallery walls must be climbed, rusty barbed wire hoops must be jumped through, ladders descended, hurdles, whacks and punches must be taken, and it ends at a giant oversized button…all in the pursuit of realizing ART.